Click on the targets in the map below to find Elabscience products related to the mTOR Signaling Pathway. 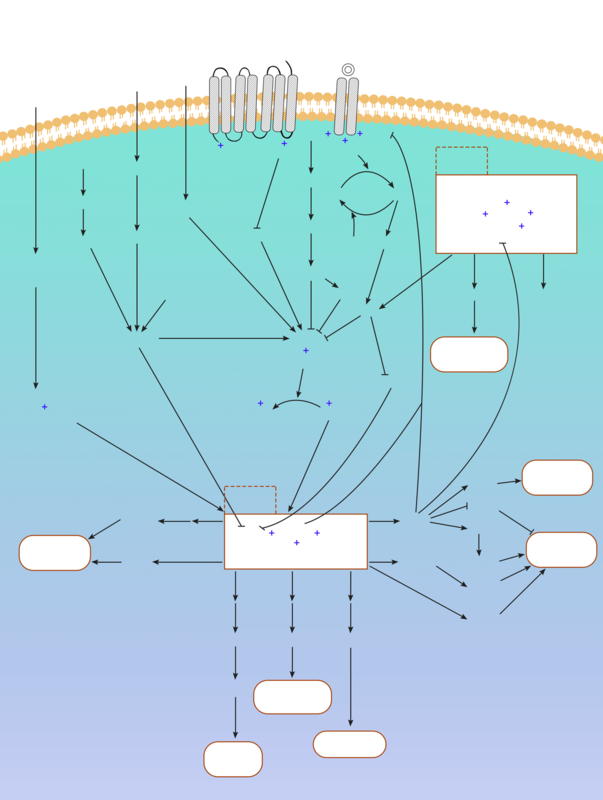 Mammalian target of rapamycin (MTOR) is an evolutionarily conserved serine/threonine protein kinase with a complex signal pathway, that when activated, can modulate a variety of cellular functions by phosphorylating its downstream target proteins. MTOR exists in two different complexes. The first is MTOR Complex 1 (MTORC1), which consists of MTOR, Raptor, MLST8, and Deptor. It is a major growth-regulatory molecule that senses and combines different nutritional and environmental factors, including growth factors, energy levels, cellular stress, and amino acids. It combines these signals to promote cell growth by phosphorylating the substrate to enhance anabolism (such as mRNA translation and lipid synthesis) or to limit catabolism (such as autophagy). The second complex is MTOR Complex 2 (MTORC2), which consists of MTOR, RICTOR, MLST8, Sin1, PRR5, and Deptor. MTORC2 can promote cell survival by activating AKT, regulate cytoskeletal dynamics by activating PKCα, and control ion transport and growth by phosphorylating SGK1. MTOR signal transduction abnormalities are found in many diseases such as cancer, cardiovascular disease and diabetes.